A wide range of telephone systems for every budget and business. Mitel is a globally renowned business communications company. Having purchased competitor ShoreTel last year, it is also now one of the largest business telephone companies on the market. Mitel offers a wide range of products and software, including mobile and multi-site support. 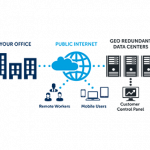 Mitel can help seamlessly connect all your communications. Mitel offers a range of cloud based and on-site telephone system solutions, for small businesses with just a handful of employees, to those with thousands across multiple locations. They offer scalability for growth but a pricing model that’s based on what your needs are right now. Meanwhile, their end-to-end solutions for established companies cover a wide range of features for large businesses and even government agencies. Through the service, Mitel manages your phone carriers, maintenance, infrastructure, and applications. Features may include a centralized call center and mobile VoIP. Mitel specializes in converting your costly, cumbersome phone system into a modern, more affordable service. Mitel offers a suite of cloud telephone services to businesses of all sizes. These provide complete network solutions without the need to have any backend systems installed on your business premises. 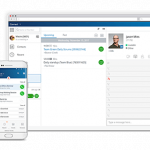 MiCloud Connect: MiCloud Connect is a cloud phone solution that can seamlessly integrate with several popular productivity apps that your business may already be using, such as Salesforce, ACT! and Microsoft Dynamics. 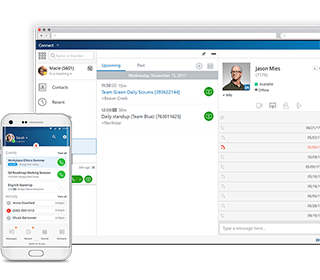 Offering embedded calling features and integrated call and customer histories in one place, it makes each call easier for both customer and employee. The move to a cloud-based system may be daunting, but Mitel offers help every step of the way, and includes on-demand support as well as VoIP phones with a built-in help button. 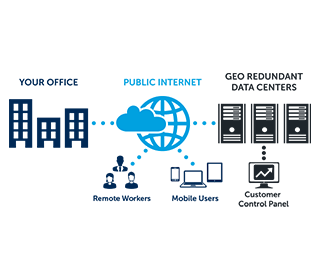 MiCloud Connect is best suited for small to medium sized businesses. MiCloud Flex is highly scalable, and can be scaled up or down depending on your business needs, and as it’s all in the cloud, there’s no need for your own IT department to worry about resourcing or time management. MiCloud Flex can interact with your CRM system to quickly offer information on customers for agents. Whether it be a voice call, video call or chat, Flex will find and pull in existing profiles to make the interaction more pleasurable and efficient for all parties. As well as cloud-based solutions, Mitel also offers a range of traditional, on-site telephone systems too. 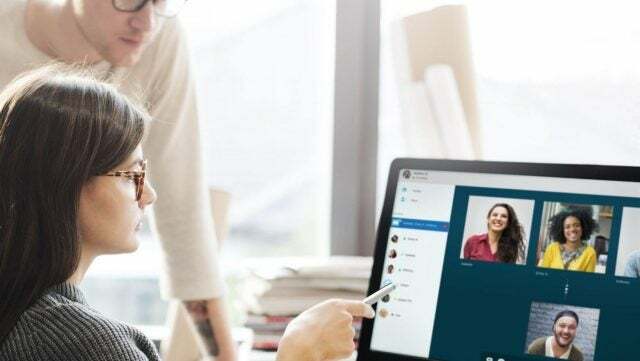 MiVoice Business: Easy to scale, MiVoice Business can meet the needs of companies with between 5 and 130,000 users, whether they be on a single site or across multiple sites. The suite includes desktop phones, attendant consoles, softphones and accessories. With the Dynamic Extension feature employees’ mobile phones can be easily routed to and act as an extension of the office phone. With MiVoice Business, Mitel offers mobile first IP phones, like the MiVoice 6900 series that claims superior HD call quality and bluetooth pairing with your mobile phone. The system features voicemail, auto attendant, on-hold music and conferencing facilities. MiVoice Office 250: A telephone system for small to mid-sized businesses, Office 250 is a great solution that can be used with your existing handsets, or the latest IP phones, which can be provided for you. With adaptable networking that can connect up to 99 sites, it’s easily scalable for businesses that are looking to grow. Offering more flexibility for your staff, important customer calls won’t be missed, thanks to the ability to twin mobile phones with the employees’ desk phones. MiVoice Border Gateway: Mitel’s Border Gateway system is aimed at companies that have staff who work remotely, and not in one centralised location. 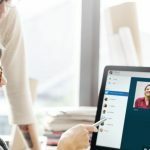 The system gives employees the tools to seamlessly connect with the office and work from anywhere. Border Gateway has strong security functions, including an integrated firewall that prevents the need for a third party solution. Able to deliver the core infrastructure for a secure network, MiVoice Border Gateway is also scalable for up to 25,000 employees. MiVoice MX-ONE: Mitel’s MiVoice MX-ONE is its flagship unified communications and collaboration solution for medium and large businesses. It is highly scalable and able to cover 500 to 100,000+ users. As you would expect, MiVoice MX-ONE offers strong integration with third party products as well as future cloud-based applications, so you can rest assured that your business is future-proof going forward. One of the benefits of going with Mitel as your business telephone provider, is the access to its wide range of own-brand phones. From simple, traditional, analogue phones, like the Mitel 9116, to the advanced, flagship Mitel 6940 VoIP phone, there’s a great range to choose from. 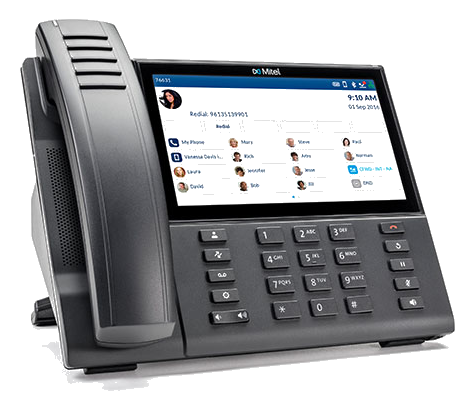 Mitel also offers a complete conference phone systems, with some even offering video calling. If your employees are on the move, that’s not a problem either, thanks to the line-up of wireless digital phones. Whether you’re opting for an on-site phone system, or a cloud based solution, Mitel can make the set up easy, offering instant access to on-demand help. Not only that, but Mitel’s IP phones have a dedicated build-in help button, which will talk the user through its functions and how to use them. Mitel offers phone support for its products and its website is a rich source of information, with in-depth training videos for its products and services. Unlike some competitors though, Mitel does not offer a chat option for support. With a large number of products and services on offer, Mitel’s pricing structure varies depending on the solution you are looking for. However, this large suite means that there will be a solution that fits your budget and your pocket. The easiest way to see how much the best telephone system for your business will cost is to use our price comparison form. Mitel offers a wide range of services for business telephone systems, whether you’re after a cloud based system or a more traditional on-site solution. It’s also ideally suited to small to large businesses, as the highly scalable nature of the products means that it doesn’t have any trouble meeting your business needs, both now and in the future. With Mitel purchasing Shortel for $530 million in 2017, it combined two of the largest providers of business telephone systems worldwide, and boasts not only a wide breadth of products, but also experience, making it a solid decision to align your business with this robust company.